I hope you have all had a great week! It's been a good one, but I am so glad that it is Friday. We haven't been home much all week, so I am spending the day catching up so that we can relax tomorrow. 1. I spent the day Tuesday painting our kitchen and dining room. Here is a sneak peek of the color. I'm really happy with the way it turned out. 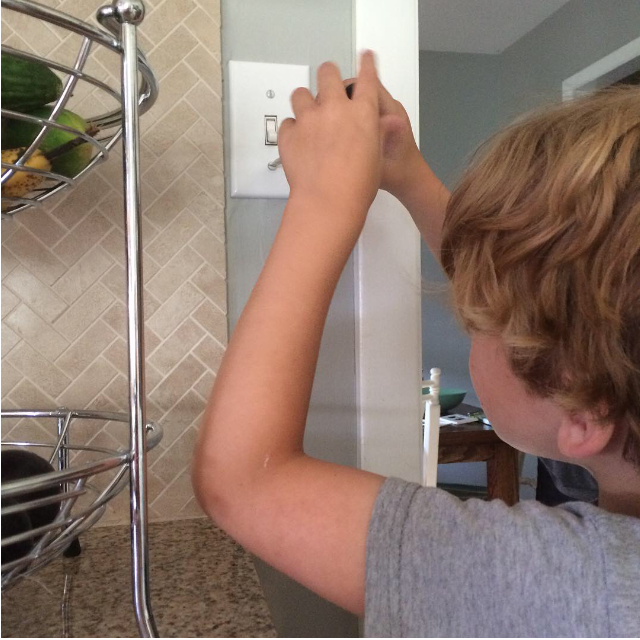 I will do a full post about this soon, but for now, just look how cute my little helper is! 2. Don't let this face fool you, Henry can't get enough of his new cousin! He is the sweetest little baby. 3. I decided on Thursday that the boys and I just needed a really fun day. 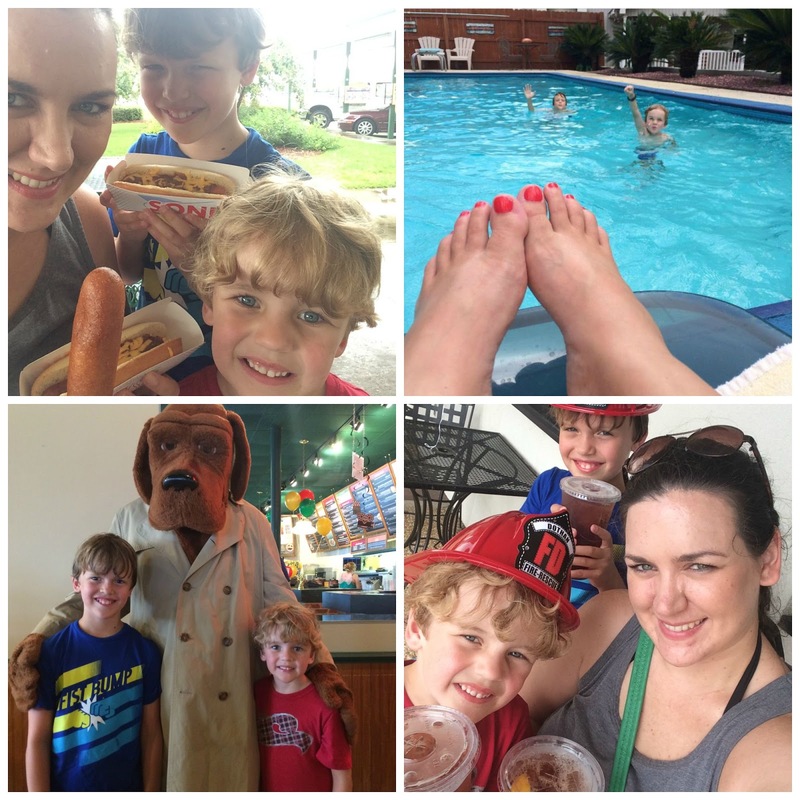 We ran a few errands, stopped at Sonic for a quick hot dog because it was #nationalhotdogday, hit the pool for a little while, stopped at the library for a new large stack up books, and then stopped by McCallisters on the way home for a #freeteaday2015. McGruff was there, so the boys wanted their pic with him. It was just a really good day. 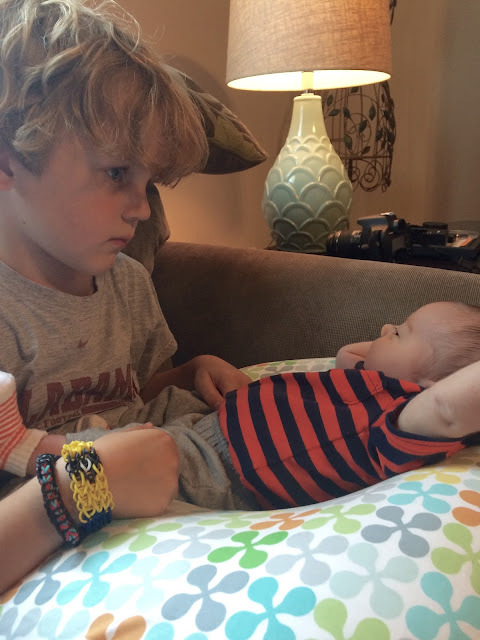 I love spending time with my guys. 4. 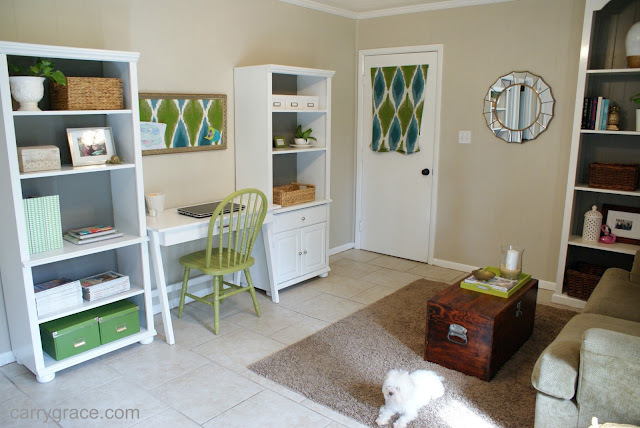 I posted our home tour this week so that I could link up for Show & Tell Tuesday at Momfessionals. You can see the entire post HERE. 5. 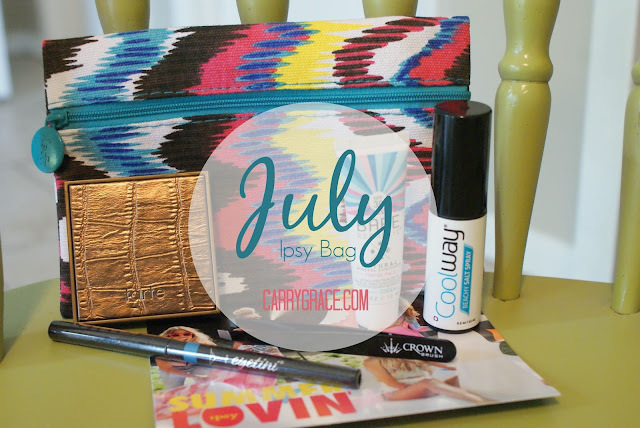 I also posted my video for the July Ipsy Bag. You can check it out HERE. I hope you all have wonderful weekend! How is July almost over? Hope you have a wonderful quiet weekend! Sounds like you need it - so busy! But love to see Scruff McGruff! Made my inner child smile, thinking of the little jingle. Does that still exist? And that paint color - LOVE! It's the perfect blue gray. And it looks so pretty with your back splash. Haha, I was cracking up when I saw McGruff. My kids didn't understand. And thank you! Thanks! I'm very happy with it. I love it when people post pictures of their homes. Thanks for sharing!